A modern design that is ready to take on any cutting job, the Skåla is an ideal knife for anyone looking to buy it. The blade folds easily into the hadle making it safe and compact to transport. Measuring in at 7.9" the Skåla is a great knife that can take on demanding cutting jobs. whilst the sharp edge of the blade makes it great at cutting or slicing. finger coming into contact with this razor sharp blade. 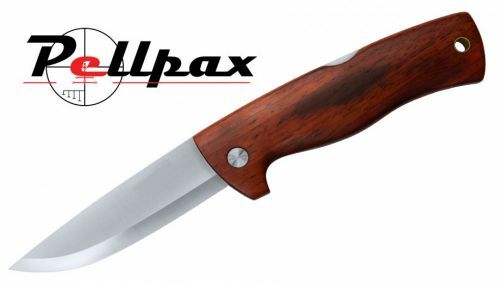 With an overall weight of 4.6oz it's an ideal knife to have on you at all times. Add this item to your basket & spend an extra £381.01 to apply for finance.